Garden City, New York, USA. March 9, 2019. 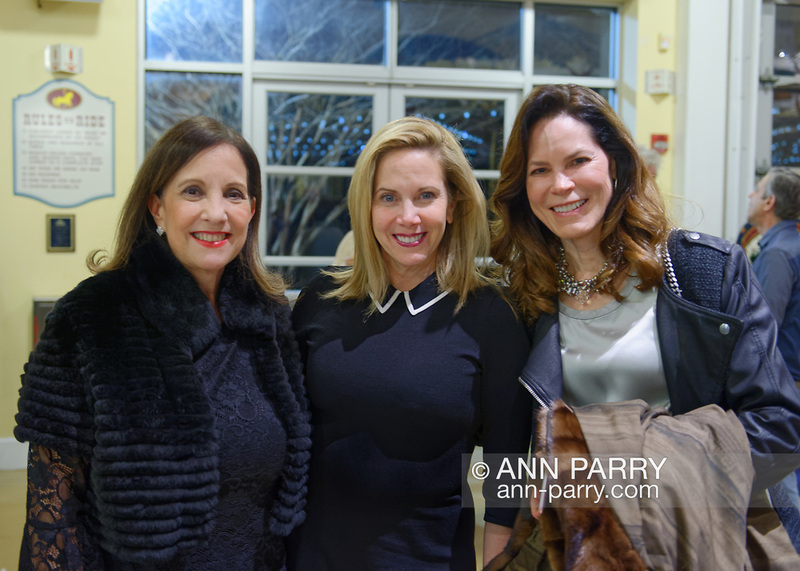 L-R, JOANNE ADAMS, Hempstead Town Supervisor LAURA GILLEN, and KELLEY HOCHHEISER, all from Garden City, pose during Unveiling Ceremony of mural by painter Michael White, of close-up of Nunley's Carousel lead horse. Event was held at historic Nunley's Carousel in its Pavilion on Museum Row on Long Island. After speeches by elected officials and members of Baldwin Civic Association and Baldwin Historical Society, and others, people enjoy free carousel rides and food.